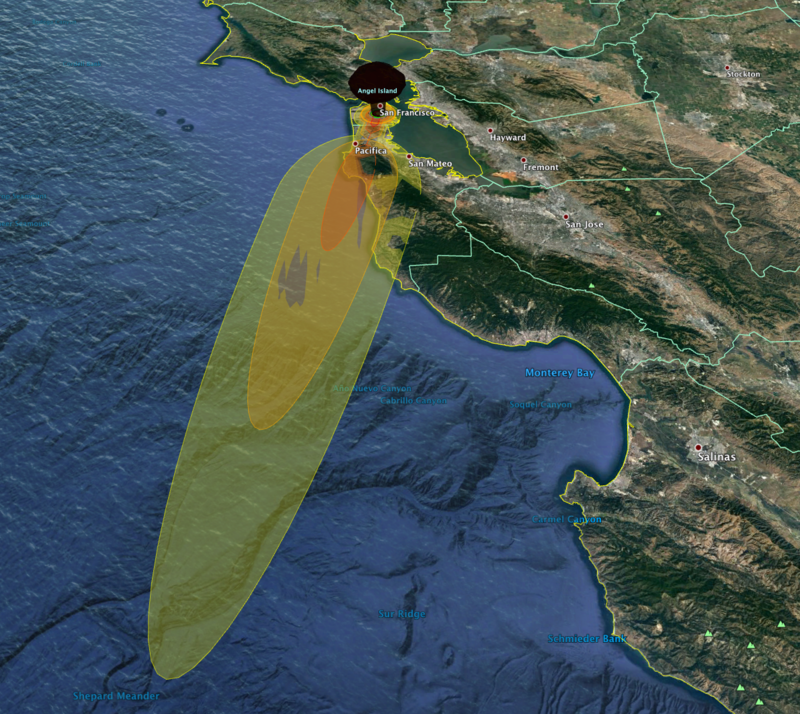 "Nukemap" lets you simulate nuclear explosions on an interactive map of the world. 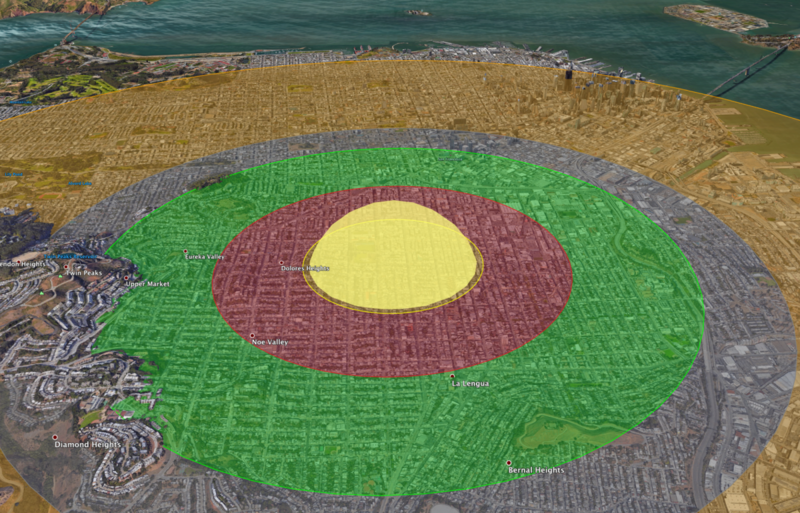 Imagine that a 150-kiloton nuclear bomb exploded in the city closest to you. Do you know how the city, surrounding region, and its inhabitants would be affected? If you can’t think of much more than “a lot of people would die,” you’re not alone. “We live in a world where nuclear weapons issues are on the front pages of our newspapers on a regular basis, yet most people still have a very bad sense of what an exploding nuclear weapon can actually do,” Alex Wellerstein, a historian of science at Stevens Institute of Technology, wrote on his website NuclearSecrecy.org. 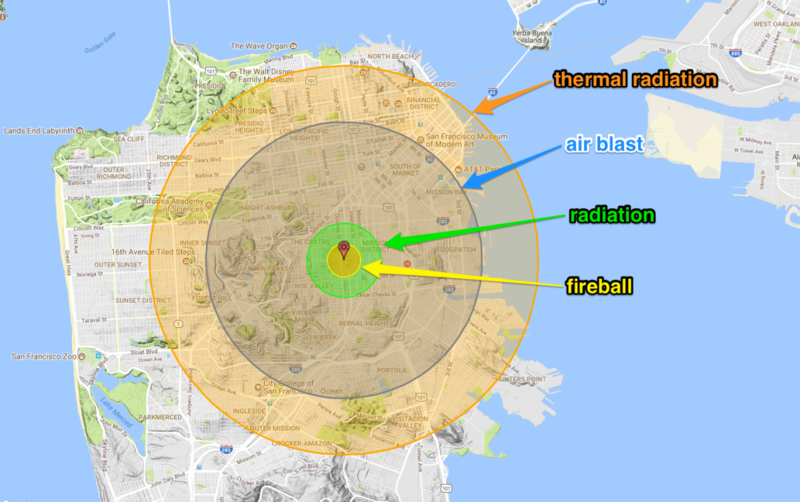 To illustrate that reality, Nukemap lets you build a hypothetical nuclear bomb and drop it anywhere on Earth. 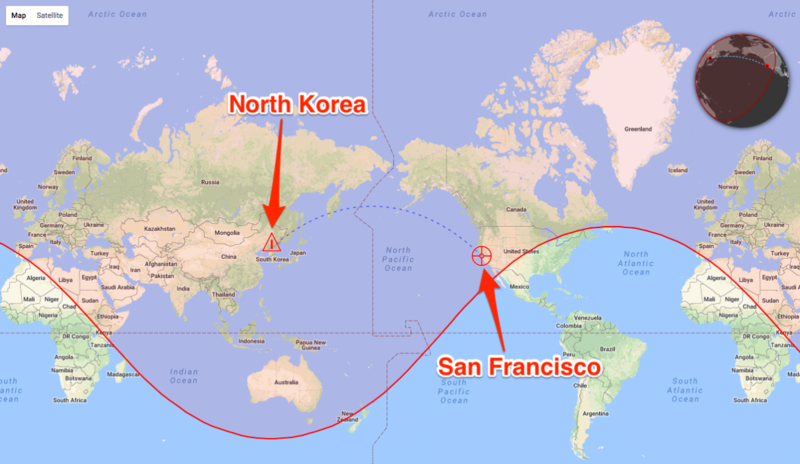 The software uses declassified equations and models about nuclear weapons and their effects — fireball size, air-blast radius, radiation zones, and more — to crunch the numbers, then renders the results as graphics inside Google Maps. Preset options let you pick historic and recent blasts, including the recent North Korean test explosion and Tsar Bomba — the most powerful nuclear device ever detonated. The tool can even estimate fatalities and injuries for a given weapon yield, altitude, and location. 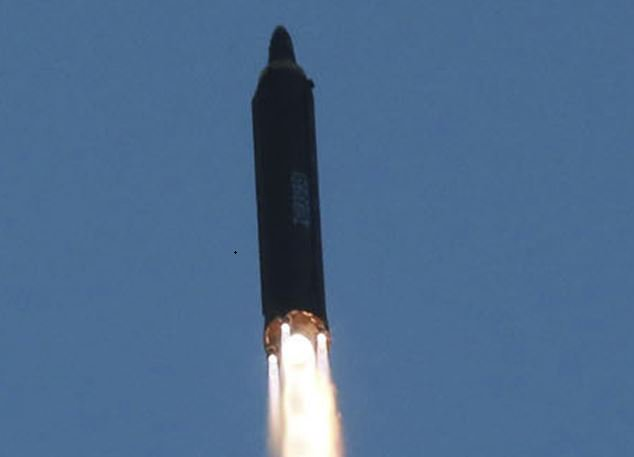 We decided to test Nukemap 2.5 using its preset for the North Korean government’s Sept. 3 underground test blast. Some experts believe that device, perhaps a thermonuclear bomb, yielded an explosion of roughly 150 kilotons’ worth of TNT. This is the country’s most powerful nuclear explosion to date about 10 times as strong as the Hiroshima bomb blast of 1945, which caused some 150,000 casualties. An aerial detonation maximizes a nuclear bomb’s destructive power, since it allows the blast’s energy to spread out. If a bomb is detonated on the ground, the soil absorbs more of that energy. Fireball (0.56 miles wide) — In the area closest to the bomb’s detonation site, searing flames incinerate most buildings, objects, and people. 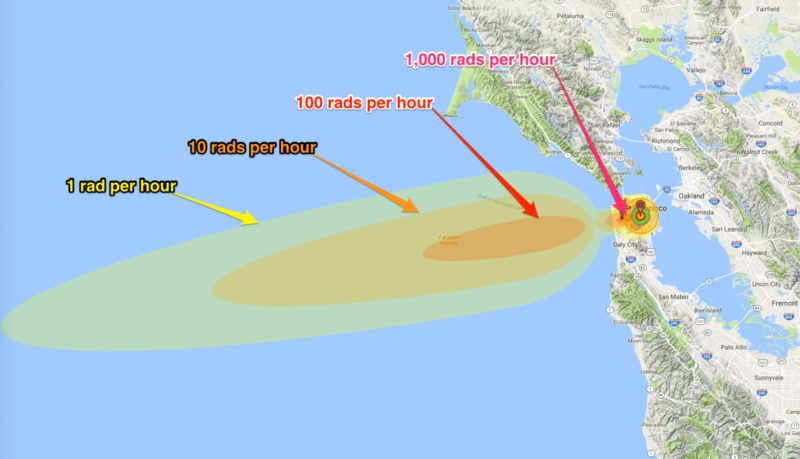 Radiation (1.24 miles wide) — A nuclear bomb’s gamma and other radiation are so intense in this zone that 50% or more of people die within “several hours to several weeks,” according to Nukemap. For example, the fallout zone appeared in a totally different area — almost due-south of San Francisco, instead of west-southwest — compared to the in-browser calculation. But it was still useful — in a gut-wrenching way — to see the size of a nuclear fireball (the yellow half-dome in the image below) in 3D as it related to a major city, engulfing entire neighbourhoods. The project was awarded a $US500,000 grant and is expected to debut in 2019.